I’ve been sitting on reviewing several of these anime for a while now, but now I’ve finally found the time to post these scores. As always, these scores are based on quality and whether or not I’d recommend these shows to people. I remember watching Yu-Gi-Oh! on Saturday mornings as a kid with my brother many years ago, and recently we went through the first season online. It’s far from good, but Yu-Gi-Oh! is still pretty entertaining. The English voice acting is pretty good (namely, Dan Green and Eric Stuart). Yami and Kaiba are easily the best parts of this first season, though Pegasus is a fun villain as well. The story is straight-forward, but it has some pretty cool moments that make the cheesy writing and plot holes relatively forgettable. Yu-Gi-Oh! is not without its flaws, but in a way, making fun of it is probably one of the most enjoyable parts of watching it. The first story arc of Sword Art Online II, Gun Gale Online, fixes almost every single problem I had with the first season. Sinon isn’t an ignored character with a one-shot introduction – she’s a well-written protagonist who is just as involved and important to the story as Kirito. Kirito is also given good opportunities for character development, and due to the parallels he has with Sinon, it makes him more a more sympathetic and interesting protagonist to follow. The murder mystery is exciting and interesting, although some of the mysteries were solved almost too quickly in some cases. I do wish the first story arc was longer, but with this said the pacing of the story in general is much better, creating high stakes while taking the time to tell its story. The shoe-horned Excalibur arc was boring and didn’t contribute anything meaningful to the characters, though the Mother’s Rosario arc managed to recapture some of the good writing and character development from the Gun Gale Online arc. Overall, Sword Art Online II is a step up from the first season and it’s worth watching just for the Gun Gale Online arc alone. I never thought a sports anime revolving around table tennis could have such heart and depth. Part of the reason that this show is so good is because it doesn’t focus on the sport itself, but the characters behind it. Ping Pong focuses on their passion for the game and how it comes to influence their lives and decisions. The characters have believable flaws that can be easily related to, even by people who don’t otherwise care about sports. 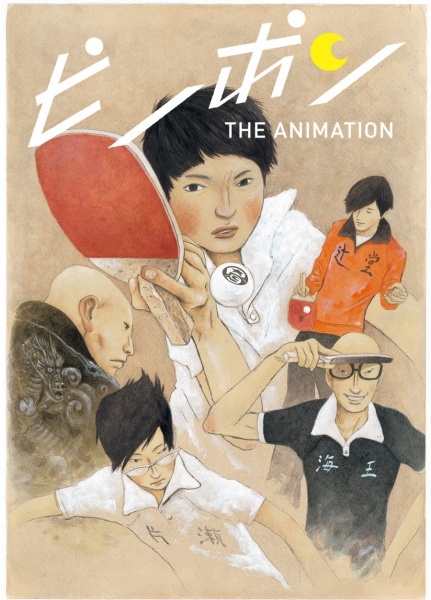 The art style is definitely strange from the norm, but it expertly captures the frenetic movement and action of table tennis (and the fact that the characters actually look Japanese is a nice change of pace). The style does take some getting used to, but with this said it’s an unconventional style that should stay limited in use in the anime industry because of how well it works in Ping Pong. To top it all off, this show has a great soundtrack that adds excitement to watching the characters play the sport. Ping Pong has a lot of heart that will surprise viewers with how emotionally compelling it is. The title doesn’t exactly roll off the tongue, but the unique setting with interesting super-human abilities on display easily makes up for it. I wish the focus was spent more on Leo and his personal journey to save his sister. The show started out quite strong with this focus in mind, but in the middle it waned with filler episodes that didn’t contribute much outside of comedy and gorgeously animated fight scenes and backgrounds. Despite my jab at the comedy, I can’t deny that I laughed aloud several times at how over-the-top it was. A bizarre show, The Tatami Galaxy seems to meander for the majority of the episodes, and isn’t until the last few episodes that the narrative comes together to create a cohesive, powerful message, and the ending alone is worth it. The unnamed main character has a multi-faceted personality that plays off of the other cast members well, and the budding and wonderfully subtle love story is fantastically written. The characters have strange flaws and quirks to their personality, but it makes them memorable and works to create the deep coming-of-age story that The Tatami Galaxy wonderfully tells. Don’t like my scores or want to recommend an anime? Let me know in the comments! I feel the same about SAO 2. The opening and closing story arcs are great. The Excalibur tale sandwiched in the middle was nothing but filler. I’m personally uninterested in Ping Pong: The animation. Might be because of my dislike of fiction about sports. I just can’t enjoy watching sports for some reason. 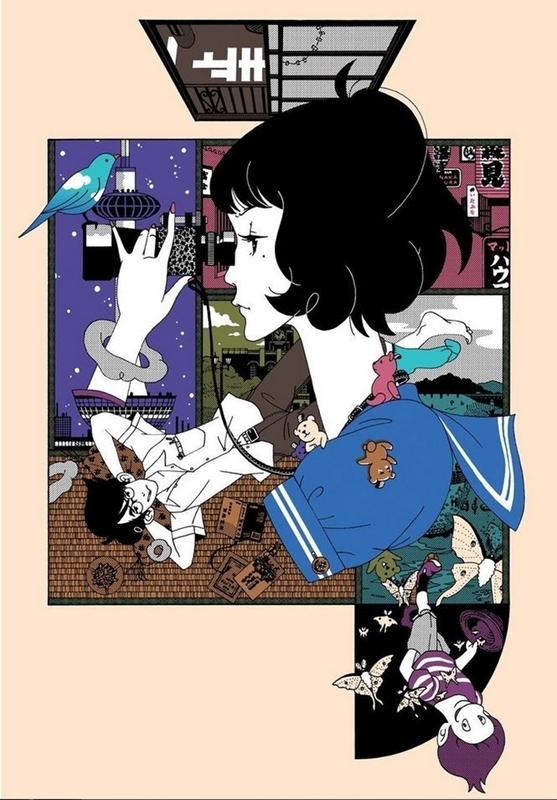 The Tatami Galaxy sounds interesting though despite not hearing about it until now. Really like the style, reminds me of Coroline for some reason. Yeah, I feel the same in general about sports anime. Usually it’s about the sport and not the people, but Ping Pong flipped that and created a really great story and cast of characters. It was a bit of a surprise in that way because it handled the genre very well. I wouldn’t say I like the genre as a whole (sports anime), but Ping Pong is an exception to the rule. Tatami Galaxy is good, but the middle is slow and very strange. I really liked the ending though, it made the show worth it.